Creation Date Friday, 11 April 2014. The article is a collaborative study by a team of osmosis process technologists and desalination research specialists that explained how forward osmosis (FO) technology works, how it differs from reverse osmosis, its current developments, and its great potential as a future trend in membrane-based water treatment and desalination systems. Along with the current FO technology research and development, water treatment industry experts are beginning to recognize its potential to effectively filter, desalinate, and recover severely impaired industrial streams, including oil exploration and gas plant wastewaters for beneficial reuse. 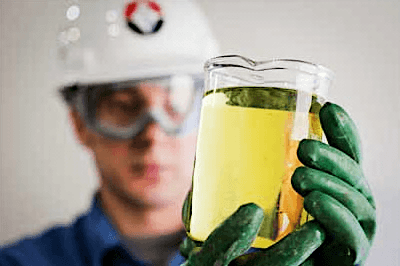 This industry review encompassed bench-scale and preliminary studies all the way through demonstration of FO technology being used to filter oil and gas waste streams, landfill leachates, anaerobic digesters concentrates, mire in membrane bioreactors, and more. Before FO membrane technology emerged, several water treatment systems have been employed but failed in industrial applications for factors such as high water salinity levels, transient and scattered operational locations, presence of free and emulsified hydrocarbons in water, silts and clays leached from water formations, as well as the presence of additives in oil and gas drilling wastewater. With the surging demand for a cost-effective, environmentally sustainable wastewater treatment and reuse system to oil and gas industries, forward osmosis technology could be an effective water filtration solution that adhere to federal government regulations concerning the environmental conservation. Aqua Solutions recognizes this innovative approach to membrane technology and developed cost-effective reverse osmosis (RO) pretreatment techniques with minimal impact on the environment. To learn more about Aqua Solutions’ extensive line of lab water purification systems based on numerous years of sustainability research, visit www.aquaa.com today.